Are you looking for an experienced partner to help expand your reach, your audience, and your expertise? Jason Logsdon and Amazing Food Made Easy are always interested in working with exciting companies and individuals. Are you looking to expand your brand by reaching the tens of thousands of adventurous cooks who visit our site every month? Do you want to lean on Jason’s sous vide and modernist cooking expertise to create recipes or custom guides? Either way, we are happy to sit down and discuss how we can help you achieve your goals. We have listed several options for collaboration below, but feel free to let us know if there's something specific you are looking for. Have something adventurous cooks would love to use? From sous vide machines and vacuum sealers to knives and pans, Jason reviews the best equipment for his readers. Is your product the best of the best? Let our readers see how it stacks up to the competition through our extensive benchmark tests. Do you have a piece of equipment that needs recipes or instructions to go with it? Jason has worked with many major brands to develop their custom guides. Many brands are looking for help generating content for their website or product packaging and Jason is happy to work with brands he respects. With more than 150,000 pageviews a month, newsletters of more than 22,500 cooking enthusiasts, and an active Facebook group with 28,000 members, Amazing Food Made Easy makes it a snap to reach a new audience. Looking to expand into the sous vide or modernist markets? Jason is willing to work with select companies to vet ideas and share insights through consulting arrangements. Below are more details about the options for working together, as well as examples of the partnerships we have been a part of in the past. One of the biggest challenges facing brands is getting their product noticed by new audiences. With more than 150,000 monthly pageviews generated by more than 100,000 unique visitors, newsletters with more than 22,500 subscribers, and an active Facebook group with 28,000 people, Amazing Food Made Easy can help you get your product in front of a vast new audience. The readers of Amazing Food Made Easy are almost exclusively adventurous home cooks and professional chefs who are interested in sous vide, modernist cooking, and new and innovative ways to make great food. According to Facebook demographics, 51% of our readers earn more than $100,000 and 18% earn more than $150,000. Of our readers, 60% is male, 60% is married and 68% graduated college. Half are 25 to 45 years old. If you have a product that appeals to this market then there are several ways we could work together. Our favorite way to get new products in front of our readers is through detailed reviews. We love checking out new and exciting equipment, ingredients and tools, putting them through their paces and sharing them with our readers. We only recommend products we think of highly and know our readers will love, which has built up a significant level of trust between us. 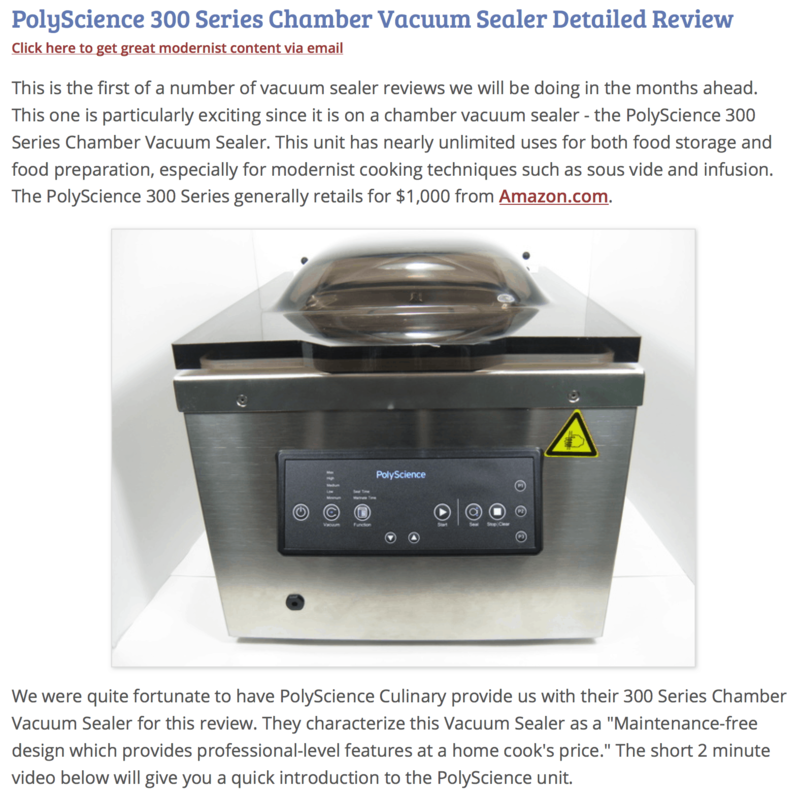 We have worked with several major brands, including PolyScience, Nomiku, Anova, Gourmia and Bellini to review their flagship products. Our reviews have helped directly to sell hundreds of units to our readers, as well as indirectly to help the brands by exposing our fans to their products. We also have worked with many pre-goal Kickstarter companies during their funding pushes. By reviewing early prototypes we can get our readers excited about the product and drive pledges. For instance, we've worked with companies like Fini Cutlery, San Sebastian, and Frankfurter Brett to help them meet their funding goals. We also do many different equipment roundups that can highlight your product. 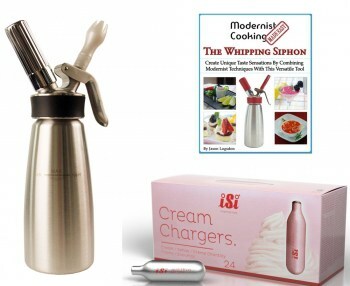 Some examples are Sous Vide Torches, Sous Vide Machines, and Whipping Siphons. We regularly use many of the products we review and test once the reviews are done. Our favorite products continue to appear in pictures and videos on the site as part of our daily preparations. Such as the Bellini, Gourmia, Anova, Fini, Sous Vide Supreme Sealer, Sansaire, and iSi Siphon. If you have a product you'd like us to review, you can contact us at jason@afmeasy.com, on Twitter, or using our form. Or check out our other collaboration options. We have several major benchmark tests to measure your equipment and tools and see how they stack up to the competition. 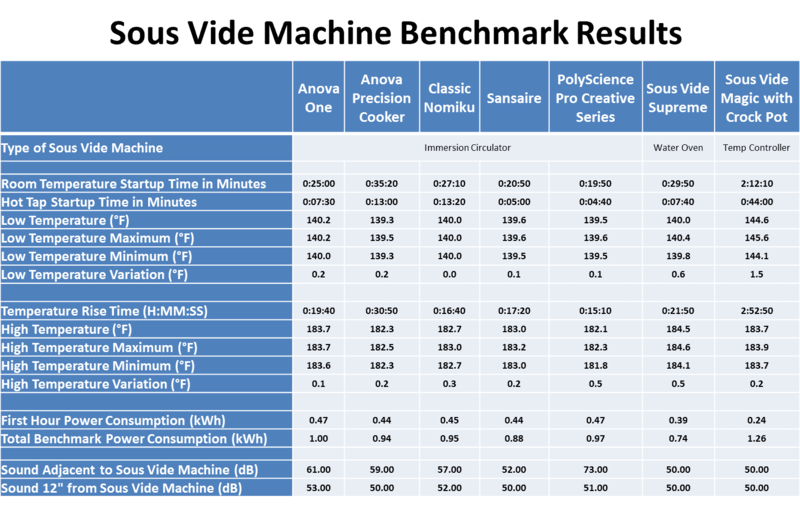 Some examples are our general Sous Vide Machine Benchmark and the Energy Consumption Benchmark. We are also currently working on benchmark tests for whipping siphons, vacuum sealers, chambered vacuum sealers, sous vide torches, and several other equipment categories. If you think your machine is the best-of-the-best, let us put it through its paces so our readers will be able to see how good it is. You can contact us at jason@afmeasy.com, on Twitter, or by using our form. Or check out our other collaboration options. Marketing events, product launches, and conferences depend a lot on getting the word of mouth out there. We love attending food-related events, learning from the experts, checking out the sponsors and then sharing what we've found with our readers. With more than 100,000 unique visitors per month to our blog it's easy for us to help spread the word to foodies around the country, not to mention taking advantage of our mailing list and social media accounts. We enjoy covering all types of food-related events, from grand openings and new event spaces to conferences, food shows, and even places where fascinating products are being made. We live in New York City, and are happy to travel for the right opportunity. The following are examples of some of the coverage we’ve delivered. We were asked to attend the grand opening of the Museum of Food and Drink in Brooklyn, including the opening presentations, the exhibits in the museum, and the dedication of the space. We attended the last two Taste Talks Brooklyn food and drink conference and reported back on several panel discussions and the all-star BBQ event. 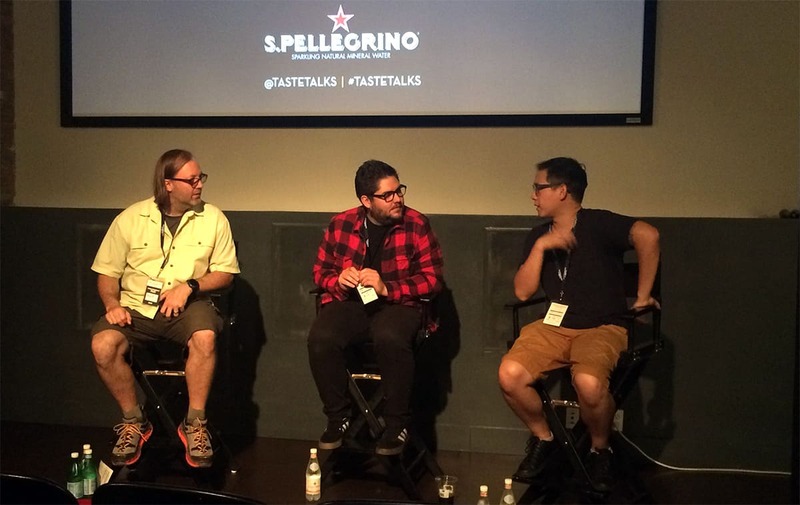 Our coverage was publicly praised both by Taste Talks and several of the panelists. 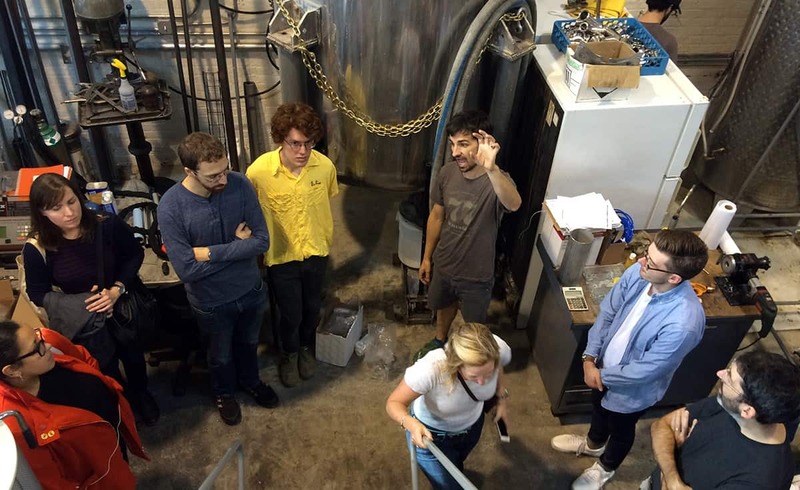 During a limited open house, we toured the Breuckelen Distillery and reported back on their distilling philosophy and what makes them unique. We have covered the StarChefs International Chefs Congress three different times. It is one of the largest gathering of chefs in the world. Jason was part of the team covering the Fresh Summit Convention and Expo in Anaheim, CA for Kitchen Play. With more than 20,000 attendees and 1,000 booths the team covered the upcoming food trends and highlighted the sponsor booths. If you have an upcoming conference or event, a future launch, or a unique product that could use some additional press, we’d love to discuss what we can do in more detail. Just let us know at jason@afmeasy.com, on Twitter, or by using our form. Or check out our other collaboration options. Sometimes the best way to reach a new audience is through advertising. Amazing Food Made Easy provides several opportunities brands can use to reach the more than 100,000 cooking enthusiasts that visit every month. We have worked with major brands such as PolyScience, Lipavi, and FusionChef. Among the opportunities we offer to promote your brand to our audience are ads on the page, both in the right and center columns, and sponsored sections. 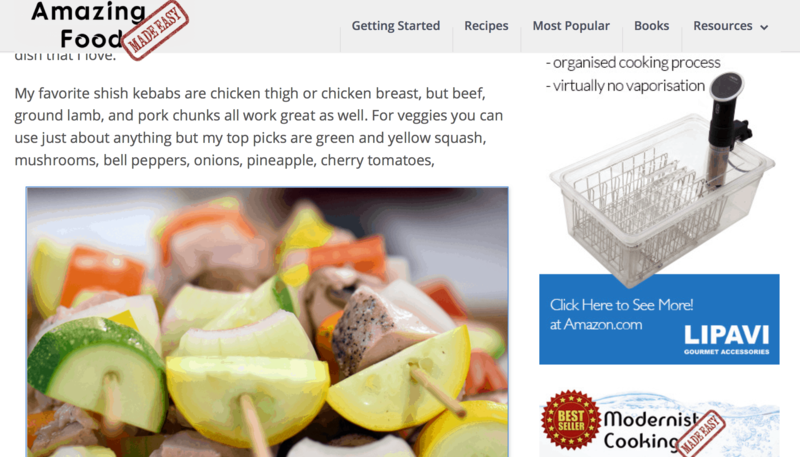 Amazing Food Made Easy also provides ways to advertise in its newsletters of more than 22,500 active subscribers. All ad rates are based on flat monthly fees, with discounts offered for 6 and 12 month commitments, so you know what your budget will look like. Amazing Food Made Easy is also always looking for unique guest posts. 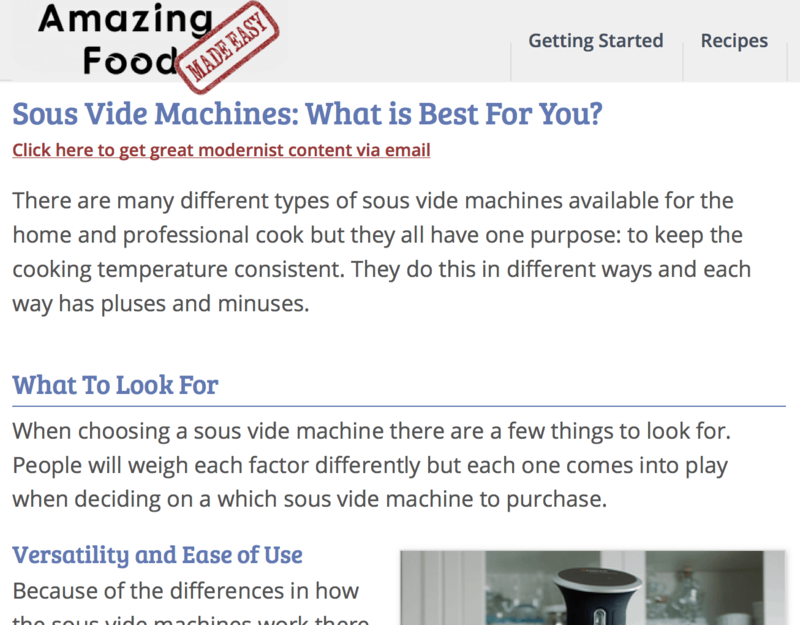 If your brand can be a great resource or tool for sous vide or modernist cooks, consider a great guest post to get that information in front of Amazing Food Made Easy’s large reader base. If you are interested in advertising with us or providing guest posts, you can contact us at jason@afmeasy.com, on Twitter, or by using our form. Or check out our other collaboration options. As the founder of and head writer at Amazing Food Made Easy, Jason has more than 7 years of heavy recipe development and instructional writing experience for sous vide and modernist cooking. He has also published 9 cookbooks including an Amazon best seller. 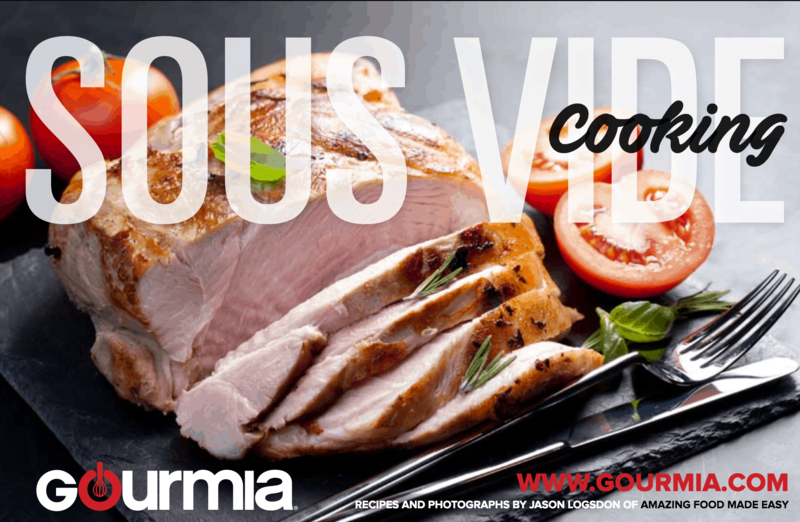 He has enjoyed working with various brands to develop recipes and content to complement their products. A favorite collaboration for Jason is to provide guides and recipe books for equipment manufacturers and resellers. Most people have a lot of questions when they purchase new modernist equipment. Providing guides and instruction books helps new users feel comfortable jumping right in - and gives prospective customers the confidence to buy it. If you are interested in using any of our cookbooks you can contact for more information. For custom guides or general questions feel free to contact us at jason@afmeasy.com, on Twitter, or by using our form. Or check out our other collaboration options. There are many ways this collaboration can take place but the most common is through recipe development. Jason has been developing recipes for sous vide and modernist cooking for more than 6 years and he can work with brands to develop custom recipes to meet their needs. 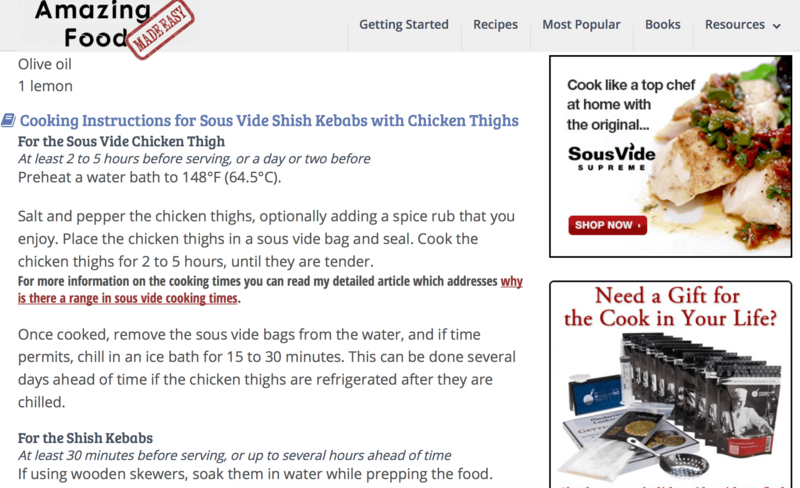 He also has a large catalog of recipes he is willing to share with select brands. Jason can provide informational articles, either as guest posts online or as inserts to be shipped with equipment and tools. These articles can discuss how to use a piece of equipment, the science behind a certain technique, or other components your brand wants highlighted. Jason is also available for interviews, including for print publications, online or email Q&As, and podcasts. Looking for something else? Jason is always open to discussing unique opportunities for collaboration. If you are interested in content creation feel free to contact us at jason@afmeasy.com, on Twitter, or by using our form. Or check out our other collaboration options. Many brands want to expand into areas of sous vide and modernist cooking, or just want to learn more about them. 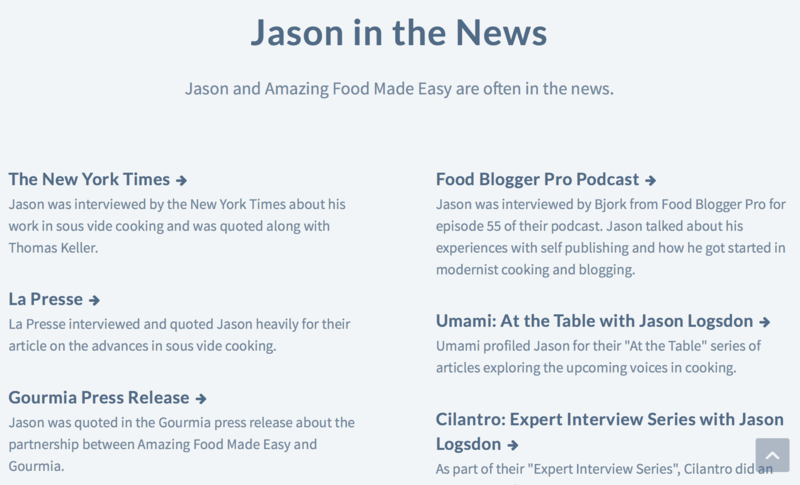 Jason and Amazing Food Made Easy have worked with many brands behind the scenes to expand their understanding of modernist techniques and how their brands can take advantage of them. This help can take the form of simple email exchanges, prototype spec'ing and vetting, creation of internal documentation, as well as in-person presentations on aspects of modernist cooking. 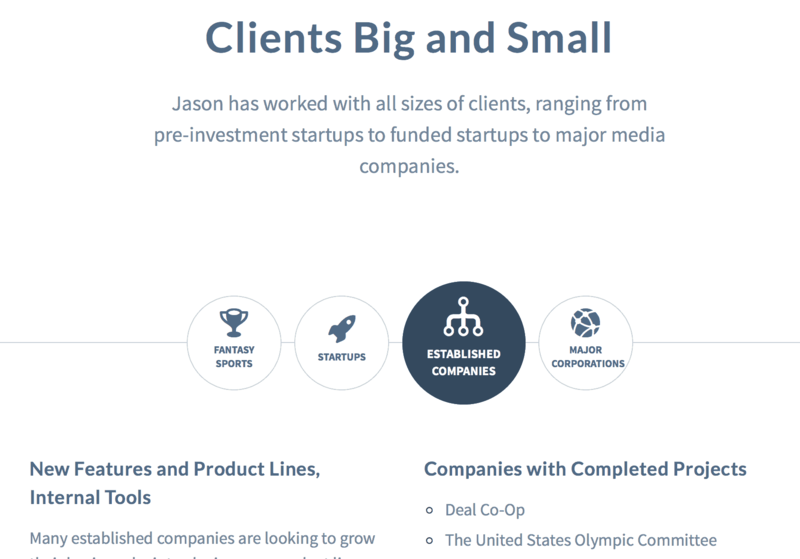 With a background in development at major corporations such as ESPN, Time Warner, and the NFL, as well as consulting for several early stage startups, Jason understands the needs of businesses, how products are developed, and how to approach and capture new markets. If you would like to pick Jason's brain, feel free to contact us at jason@afmeasy.com, on Twitter, or by using our form. Or check out our other collaboration options.